Bill Brink will be our performer for the January UU Coffeehouse. Also known as the Weathersfield “Town Troubadour,” Bill plays a very entertaining style of guitar music that will appeal to all ages. Please come and enjoy the music and the delightful refreshments and coffee. All Welcome. Doors open at 6:30, music starts at 7 pm. This is a family-friendly evening of music and fun. You will be able to purchase delicious snacks and beverages. This dinner will feature authentic German food as coordinated by JoAnn Gaffron-Hargrove, who has lived in Germany. Cost is $15 per adult, $8 for children 12 & under; no charge for pre-school children. This is a fundraiser for the Meetinghouse. Contact Deb at uuspringfieldvt@gmail.com for reservations or with questions. “Phi : The evolution of consciousness isn’t like any other movie you’ve seen before. It is more of a spiritual journey than a documentary, and we think that’s just how it was always meant to be. Free admission and popcorn. Doors open at 6:45; film begins at 7 pm. All welcome! Bring a craft project – your knitting, crocheting, woodworking, coloring, painting, etc – and/or a favorite game to this evening of fun and conversation.. We’ll also have games on hand to choose from. Hope to see you there! The sanctuary will also be open during these hours so that members of the public can view or walk our labyrinth. Or come to our annual Labyrinth Service with Ellen Allman on Sunday morning, Jan. 13, at 10 am . The yogic principal of Seva refers to service. We’re offering this class at no cost but request that attendees bring a package of diapers for the diaper bank at the Springfield Area Parent Child Center. This will be a gentle yoga class and all are welcome. Weather permitting, Aimee will lead a yoga class on the 2nd Wednesday of each month at the Meetinghouse. THE CLASS HAS BEEN CANCELLED FOR NOW; WE WILL RESCHEDULE AT A LATER DATE. This course will be held on five consecutive Tuesday evenings from 6:30-8:30 pm at the UU Meetinghouse. Total fee for the 5 sessions is $75 per person. Open to the public. See below* for registration information. In this five-session class, I teach the concepts and techniques of nondefensive communication using a mix of lecture, discussion, and take-home exercises. Rather than projecting slides, I use an easel or white board, mixing words and simple drawings in the manner of a graphic facilitator. I also use short 4-page comics in class that students then take home for review and practice. In this introductory session, we look at how our inherent fight, flight or freeze system leads us to react to conflict with the four basic techniques used in battle. We will also learn to spot six common characteristic defensive strategies that are so typically engrained we mistake them for our personalities. In this session, we first identify commonly used defensive questions, which, by their very structure, make others defensive in turn. Then we learn nondefensive questions that allow us to simply ask for information instead, transforming potentially defensive interactions into constructive exchanges. In this session, we’ll first learn how to identify when we are making defensive assertions, imposing our opinions as facts. Then we will learn how to make nondefensive statements, using a structure that allows us to express our thoughts and feelings clearly, giving them authentic power. Setting limits is an important part of getting along. However, when we try to do it, we often collapse into making defensive, threatening predictions instead, e.g. : ‘If you don’t do x, I’ll do y!’ This class presents a process that allows us to avoid this kind of manipulation, instead thinking through and setting our limits clearly and firmly, giving those we deal with a clear picture of what they can expect from us. In the final session, we practice applying non-defensive questions, statements and predictions to real life situations. Also, because changing our deeply-rooted defensive habits takes repetition over time, we will learn ways to keep practicing nondefensive communication so we can shift the insights of the class into lasting skills. *The trustees have designated some funds toward this class so that the total cost per person for the five sessions will be reduced to $75. Add your name to the sign up sheet on the harvest table or in the Activities Room and give your payment to Deb Diegoli in the office. Checks made out to Springfield UU Meetinghouse” with “Non-Defensive Comm. Class” in memo. OR mail your check for $75 to UU Church, PO Box 944, Springfield, VT 05156. Deadline: March 5th. Contact uuspringfieldvt@gmail.org for more info. Given his uplifting message of unity, it’s easy to understand why Rumi is the best-selling translated poet in the US today. He invites us to go beyond our cultural conditioning and look for and witness the beauty and mystery of life. Rumi lived in a time of upheaval and violence. He was a scholar and mystic and would recite ecstatic poems while whirling. This practice evolved into what we now call the whirling dervishes. Indeed, Rumi is the founder of this Mevlevi order. You’re invited to learn more about Rumi and to join in celebrating his life and legacy. Around the world, lovers of Rumi gather in mid-December in honor of his urs, the day of his death. 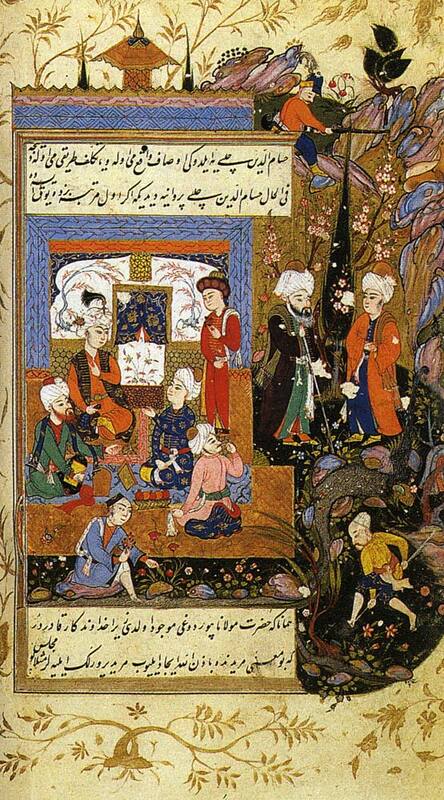 Rumi died on December 17, 1273 in Konya (now in Turkey). Springfield will have its own Rumi Night on Saturday, December 15, from 7-9 pm also at the UU Meetinghouse. There will be live music, zikr, poetry and maybe even some whirling! The evening will be led by Shams and Walia Guillow and Rev. Mellen Kennedy. The evening will include the Dances of Universal Peace, simple, joyous dances which embrace the wisdom of the world’s religions and focus on peace and community. The event is free, donations welcome. You’re invited to join in the participatory evening of poetry and ecstatic dancing in celebration of Rumi which will be held at the Unitarian Universalist Meetinghouse, 21 Fairground Road, Springfield, VT. All are welcome. Join us for an evening of games, crafting and card writing on Saturday, December 1st. Bring a favorite game, a holiday gift you’re making, your holiday cards or any other craft project. Games and coloring will also be available. Join the conversation and the fun at the UU Meetinghouse, All welcome! Drummer Matt Meyer will hold a “Drumming & Spirituality workshop at the Meetinghouse on Sunday, Dec. 2, 12-1:30 pm. This will be a chance for people of all skill levels to participate in hands on rhythm-making. We’ll tour instruments from around the world and experience the connection of community drumming through activities, stories, and discussions. We’ll also look at how rhythm and music intersect with Unitarian Universalist values. Bring your own drum if you have one; for those who don’t, enough will provided. Matt is a musician and community organizer who has led hundreds of services for UU congregations across the country. He has a degree in hand drumming and has studied abroad in Cuba, Ghana and Central America. Matt serves as Director of Community Life for Sanctuary Boston and is a founding resident of the Lucy Stone Cooperative in Roxbury. Ahhh . . . . Relief from the December hustle and bustle . . . . The yogic principal of Seva, or service, and the mindfulness practice of gratitude, can be antidotes to stress. Certified yoga instructor Aimee Parnell will offer a gentle yoga class on Wednesday, December 5, 5:30 pm at the Meetinghouse. Admission is by donation of a gift item(s) such as children’s books, clothing, or toys (unwrapped) for families in need. Afterwards we’ll have tea and light refreshments and wrap the gifts. Please sign up in advance so we can contact you if we need to reschedule due to bad weather Contact Deb Diegoli: uuspringfieldvt@gmail.com; 802-885-3327. The December First Friday Film at the Meetinghouse will be “Rumi, Poet of the Heart.” The poems that this Sufi mystic composed about the transformative power of love have gripped the contemporary imagination. This film presents Coleman Barks, the most celebrated contemporary translator of Rumi’s poetry, in live performance and intimate conversation. Joining him to celebrate the earthy, joyous, spiritual passion of Rumi’s poetry are Robert Bly, Deepak Chopra, Michael Meade, Huston Smith and others. Narrator: Debra Winger. Music: Hamza El Din, Jai Uttal. Director: Haydn Reiss. (US, 1998) 60 min. plus discussion.Free admission, popcorn. Doors open at 6:45; movie starts at 7 pm. All welcome! The December Coffee House will take place on the second Saturday of the month, Dec. 8, due to the holidays. Vinnie delighted us all with his songs in the past and we are thrilled to have him back again. Here’s hoping everyone can make it to this special coffee house.. Please come and enjoy the music and the delightful refreshments and coffee. Free admission. All Welcome. Doors open at 6:30, music starts at 7pm. This is a family-friendly evening of music and fun. You will be able to purchase delicious snacks and beverages. The Caring Committee is sponsoring Souper Sunday on December 9th. This is a time to gather after the Service and share soup and bread as well as conversation. Soup and bread will be $4 (no charge for visitors). Come join us! NOTE: There will be no Song Circle this month. We plan to resume in the spring. December 30, “Fire Ceremony” with JoAnn Gaffron-Hargrove, 10 am Our traditional Fire Ceremony will help us prepare for the New Year. After a reflection on “Our Attitudes toward Time”, we will use the cleansing fire to rid ourselves of those things which burden us and we wish to be rid of for a new start. Then each of us will write a list of intentions for the New year and seal them is a self-addressed envelope. This will be returned to you in the fall of 2019. Each person will light a candle of love and hope for the New Year. A special service, “Love the Hell out of this World,” with drummer Matt Meyer will be held at the Meetinghouse on December 2 at 10 am. When the culture around us doesn’t encourage us to our best selves, how do we model the kind of world we want to live in? Matt will reflect on the good and bad of middle school, the time he picked the very best costume for a high-stakes 5th grade costume party, & how we find the skills for beloved community. Stories can inspire, teach, help, challenge and heal. Deb,Tina and Toni will each relate a story of her own. As time allows, we’ll share a brief story from member(s) of the congregation. A discussion on the topic will follow Souper Sunday. Throughout time, dance and spirituality have been closely linked. Let’s explore this connection keeping in mind Alice Walker’s observation that “Hard times call for furious dancing!” The service will include some Dances of Universal Peace. December 23, “Solstice Candlelight Service” with Rev. Mellen Kennedy and the Springfield Community Chorus, 5 pm Come join us for warmth, song, story, laughter, candlelight, friendship and silence. Winter is upon us and at the very same time, the light is returning! We gather for our annual celebration and hope You’ll share this magical tradition with us. The Chorus will sing some beautiful pieces for us. The service is followed by High Tea. Please bring your favorite finger food, savory or sweet, to share. All welcome. Open to the public, accessible to those with disabilities. Unless otherwise noted, all events are FREE. Held at the Meetinghouse at 21 Fairground Road, Springfield, VT. All welcome! Contact uuspringfieldvt@gmail.com for more. The yogic principal of Seva, or service, and the mindfulness practice of gratitude, can be antidotes to stress. Certified yoga instructor Aimee Parnell will offer a gentle yoga class on Wednesday, December 5, at 5:30 pm at the Meetinghouse. Admission is by donation of a gift item(s) such as children’s books, clothing, or toys (unwrapped) for families in need. Afterwards we’ll have tea and light refreshments and wrap the gifts. Please sign up in advance so we can contact you if we need to reschedule due to bad weather. Contact Deb Diegoli: uuspringfieldvt@gmail.com; 802-885-3327. Get ready for our Rumi Night (Dec. 15) by watching this free film. Doors open at 6:45 pm; movie starts at 7 pm. Enjoy free popcorn; all welcome! A CELEBRATION OF Mevlana Jellaludin Rumi. A participatory EVENING OF POETRY, ZIKR & Sufi DANCING. LIVE MUSIC! Donations accepted. Join us for an evening of games, crafting and card writing on Saturday, December 1st, 6:30-8:30 pm. Bring a favorite game, a holiday gift you’re making, your holiday cards or any other craft project. Games and coloring will also be available. Join the conversation and the fun at the UU Meetinghouse, 21 Fairground Road, Springfield, VT 05156. All welcome! A special service, “Love the Hell out of this World,” with minister and drummer Matt Meyer will be held at the Springfield Unitarian Universalist Meetinghouse on December 2 at 10 am. When the culture around us doesn’t encourage us to our best selves, how do we model the kind of world we want to live in? Matt will reflect on the good and bad of middle school, the time he picked the very best costume for a high-stakes 5th grade costume party, & how we find the skills for beloved community. Drummer Matt Meyer will hold a “Drumming & Spirituality” workshop at the Springfield UU Meetinghouse on Sunday, Dec. 2, 12-1:30 pm. This will be a chance for people of all skill levels to participate in hands on rhythm-making. We’ll tour instruments from around the world and experience the connection of community drumming through activities, stories, and discussions. We’ll also look at how rhythm and music intersect with Unitarian Universalist values. Bring your own drum if you have one; for those who don’t, enough will provided. Free, accessible and open to the public. All welcome! Held at the Meetinghouse at 21 Fairground Rd, Springfield, VT.
November 25 “Virtues for Changing the World” with Rev. Buffy Boke As we work toward a more just, sustainable, and peaceful world, what ideals of behavior are we called to reach for in ourselves? The Rev. Beverly Morrison Boke — called “Buffy” by just about everyone — was called and settled as minister to the Canton, Massachusetts congregation in August 2011, from which she retired in July of 2017. Immediately prior to that, she served on the Administration Team as a guidance counselor for three years at the American Community School in Beirut, Lebanon. Buffy was ordained at the Unitarian Church of Barnstable in 1985. She has served Unitarian Universalist congregations in Newport News, Virginia; Hartland Four Corners, Weathersfield, and Chester, Vermont; and Andover, New Hampshire, and she has supplied pulpits in many other Vermont and New Hampshire towns. Buffy now lives with Nick, her husband of 38 years, in Providence, Rhode Island. November 4: ” Walking It, Talking It: Universalism & the Practice of Nondefensive Communication” We are, as the UU hymn goes, a gentle and angry people, but sometimes it’s the angry that gets the upper hand–as well as a little reactive defensiveness and urge to control too! Join Hilary Mullins as she talks about “Taking the War Out of Our Words,” describing a method of nondefensive communication that is not only practically useful but dovetails with our great Universalist heritage as well. Hilary Mullins has studied at Starr King, the UU seminary in Berkeley, and is a graduate of the Vermont Academy of Spiritual Training, a lay-training program of the Congregationalist Church. She is also an alum of The Center for Cartoon Studies in White River Junction. A writer, teacher, and part-time preacher, she lives in Bethel. November 11: “#MeTooHealing: Tiamat Rising!” with Rev. Dr. Mellen Kennedy Women around the globe are saying Enough! to disrespectful treatment and violence. Religious and spiritual communities have been both culpable for misogyny and fighters against it. Let’s unpack this complicated history and explore what spiritual resources help us gain our voices and heal. That we can and do heal from abuse is in itself worth celebrating! You’re invited to stay for a gathering after the coffee hour on the topics of the service which will be open to the public. November 18: “The Art of Radical Receiving: A Guide to Gratitude” with Rev. Dr. Mellen Kennedy Being strong and tough is great. However, when it cuts us off from the blessings of Source, then our strength impairs us. In honor of Thanks giving, let’s delve into the art of gratitude. Be everyone’ s favorite gift-giver this year ! Come learn how to make a variety of cannabis -infused present s for everybody on your list. Using high-CBD hemp extract, we will learn the basics of cooking with cannabis and how to create relaxing herbal sugar cookies , peppermint hard candies , fizzy bath bombs , and a luxurious lotion. Participant s will help to make all gift s and get to take home their creations along with the recipes ! Directed and produced by award-winning filmmakers Betsy West and Julie Cohen, “RBG” details the incredible life and legal legacy of Justice Ruth Bader Ginsburg, the second woman to ever serve on the US Supreme Court. Free admission and popcorn, doors open at 6:45; movie starts at 7 pm. All welcome! The Building and Grounds Committee is planning a fall clean-up day for November 3rd, 9:00 – 12:00. There will be re-potting, raking, window washing and many other tasks. All are invited to come, bring your favorite rake, sponge or basket to put weeds in. Every task we complete helps make our church more welcoming. Bring your favorite craft – your knitting, crocheting, woodworking, coloring, painting, etc – and/or a game to this evening of fun and conversation.. We’ll also have games on hand to choose from. Hope to see you there! Many women are feeling upset and angry about the reality of sexual harassment, abuse and assault that are pervasive in our lives. If You would like to participate in a gathering with other women, to explore this subject, please join us. We’ll look particularly what emotional, mental and spiritual resources we can draw on for healing. The group will be facilitated by Rev. Mellen Kennedy and have clear ground rules to create a respectful environment. All women welcome. Open to the public. The Milkhouse Heaters are a husband and wife duo. Mike Sheehy plays guitar and harmonica and Jan Sheehy plays bass. Both sing. They have a vocal harmony style that has been compared to Emmylou Harris and Gram Parsons. Almost all songs are original. They played their first gig in 2010 and since then have played with Billy Bragg and Fred Eaglesmith. The Milkhouse Heaters have two songs on the Shoulder to the Plough CD which was recorded live at the Rockingham, VT Meeting House. The Shoulder to the Plough concert was put together by Flying Under the Radar and Vermont Festivals, LLC to benefit the farmers who were hard hit by Hurricane Irene. The concert was completely acoustic; no electricity, no PA and no lights. All proceeds from the CD continue to support the farmers. The Milkhouse Heaters have been playing in and around New England and are preparing to record their debut CD. Free admission; Doors open at 6:45; music starts at 7 pm. You’ll be able to purchase snacks and beverages. All welcome! The Caring Committee is sponsoring Souper Sunday on October 14th. This is a time to gather after the Service and share soup and bread as well as conversation. Soup and bread will be $4 (no charge for visitors). Join us! The music Gus performs includes Folk, Folk Revival, Old Time, Cowboy, Country, Children’s and Old Time Jazz. He plays guitar and banjo along with a variety other instruments. We are excited to host Gus again and hear his music. This is a family-friendly evening of music and fun at the Meetinghouse, Doors open at 6:30; music begins at 7 pm. Free admission. You may purchase coffee and refreshments. All welcome! Join us for the final in our series of Vermont Reads Bread and Roses, too events, following the service “Weaving the Fabric of Our Lives and Our Souls” (and the coffee hour). The modern industrial world was ushered in by a dramatic shift from homespun to factory produced fabrics. What does this mean to who we are as humans and how we work, create and live? Why is this a spiritual issue? We’ll use the book, “Bread and Roses, Too” as a source of inspiration. This small group discussion will be facilitated by Rev. Mellen Kennedy. With all of the problems facing the world today — war, poverty, weapons, environmental degradation, starvation, overpopulation and severe desperation among millions — people are longing for meaning. Many find answers in religion or spirituality, but as a result faith and religion are often hijacked by those seeking to enhance their own power at the expense of others, often all in the name of God. With this dichotomy in mind, we call upon key religious leaders, politicians, and luminaries in their fields to tackle the toughest and most complex issues in the modern age, and we ask what inspires them to affect positive change. We hope that by sharing their personal experiences, each person will provide a unique perspective on how to support and strengthen compassionate and non-violent activism when resolving difficult disputes. Free admission and popcorn. Doors open at 6:45; movie starts at 7 pm. All welcome! Want to learn more about cannabis now that its been legalized in Vermont for adult use? Are you confused about the differences between THC and CBD, hemp and marijuana, and what the new laws mean? Wondering whether it might be a good herb for you or your loved ones? Join us for an exploration of the many herbal actions and applications of the cannabis plant, including pharmacology, herbal energetics, historical uses, dosing, and safety, as well as an explanation of what is now legal (and what is still prohibited). Finally, we will make a hemp-infused salve for everyone to take home, along with a recipe. Stephanie Boucher is a certified Clinical Herbalist, having graduated from the Vermont Center for Integrative Herbalism’s 3-year Clinical Herbalist Training Program. In addition to her traditional herbal training, she also holds a Professional Certificate in Cannabis Science and Medicine from the University of Vermont’s Larner College of Medicine, and has over 5 years of experience in the cannabis industry. Held here at the Unitarian Universalist Meeting House, 21 Fairground Road, Springfield, VT. Cost: $20. Register here: https://www.cannabotanicals.net/cannabis-101. open your senses in new ways. and loves bringing tai chi to people of varying abilities and interests. Please wear comfortable clothing and flat shoes.All welcome! Join us for a friendly, casual song circle. No instruments, just our voices enjoying the pleasures and stories of songs. 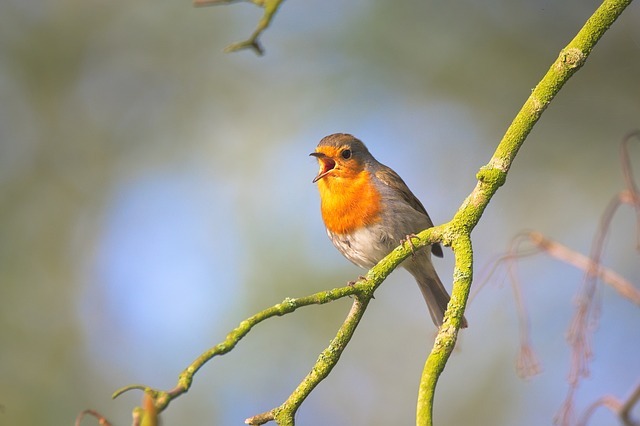 Join in sharing a song or listen to others sharing a song; sing along or listen. A performance-free, non-judgmental space to join together for the pleasure of singing. (Please remember: voices only, no instruments.) Free, all welcome. Held here at the Meetinghouse. Bring your favorite game and a soup ingredient. We’ll put the soup together and let it cook while we play. We’ll also have games on hand to choose from. Hope to see you there. COME AND BE A PART OF THE CIRCLE THAT CONNECTS ALL OF HUMANITY! conversation and meal sharing with each other. Garden Circle Meeting on Monday October 15, 10:30 AM till noon in the Activities Room at the Meetinghouse.